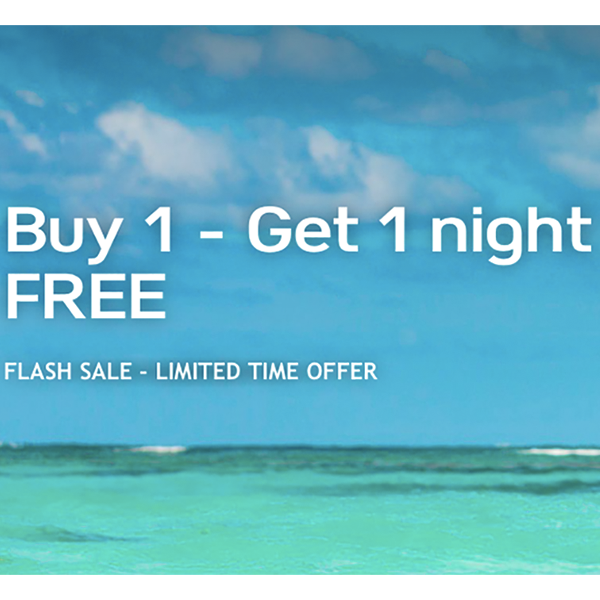 July 21, 2017 – Back by popular demand, Club Med is offering a BOGO offer that can’t be beat: buy one night, get one night free! Guests taking advantage of the sale available for booking now through July 25 can stay at Club Med properties for up to 50% off*. It’s so easy when it’s all included and guests will experience the best of Club Med’s amenities on land and at sea at participating resorts in Florida and the Caribbean. Adventure seekers can embrace the endless activities including land and water sports, trapeze, sailing, windsurfing, tennis and so much more while relaxers can zen out at the spa, by the pool or under the sunny stretches of Club Med’s stunning beaches. Start packing your bags! Club Med Cancun Yucatan: The property features a number of new and exciting renovations including redesigned Suites and bar area at the resort’s luxury 5 Trident space, Jade, part of Club Med’s Exclusive Collection. Additional renovations include the new Taco Arte restaurant, featuring an oceanfront dining experience. Coming November 2017, the resort will also boast an all new pool deck area, bar & beach lounge – designed to enhance the pristine white sand beaches. Club Med Sandpiper Bay: Sandpiper Bay offers expert sport instruction offered by Club Med Academies where guests can take their game to the next level and is conveniently located in sunny Florida. Club Med Punta Cana: Soar through the skies at Club Med CREATIVE by Cirque du Soleil’s interactive playground, or relax at the adults-exclusive Zen Oasis. Learn to Surf at Club Med: New surf lesson offerings have been added to Club Med Ixtapa Pacific, Club Med Sandpiper Bay and Club Med Punta Cana properties so guests can hang ten learning how to surf or advance their existing skills on vacation. A Club Med all-inclusive vacation means more than upscale accommodations and gourmet dining options with a full open bar of premium alcoholic and non-alcoholic beverages included, as well as free Wi-Fi throughout the property. Guests discover their most amazing self while taking part in water and land sports with expert instruction by day and a variety of entertaining shows in the evening. Families always enjoy extra savings as children under 15 stay for up to 40 percent less, children under 12 stay for up to 50 percent less and kids under four stay for free. For more information visit www.clubmed.us, call 1-800-ClubMed (1-800-258-2633) or contact a preferred travel professional. Travel agents may visit www.clubmedta.com. For an inside look at Club Med, follow Club Med on Facebook, Twitter, Instagram, or subscribe to Club Med on YouTube. *Stay for up to 50% off in a Club category room select weeks at Cancun Yucatan, Mexico; Ixtapa Pacific, Mexico; Sandpiper Bay, FL; Columbus Isle, Bahamas; Turkoise, Turks & Caicos and Punta Cana, Dominican Republic. Prices on other dates and/or at other resorts may vary. Blackout dates apply. Offer requires a 3-night minimum stay. Valid for new individual bookings only at select resorts for select travel dates with check-in on or after 7/22/2017 and check-out on or before 2/17/18 and must be booked between 7/20/17 and 7/25/17. Offer is subject to capacity control and may increase at any time.